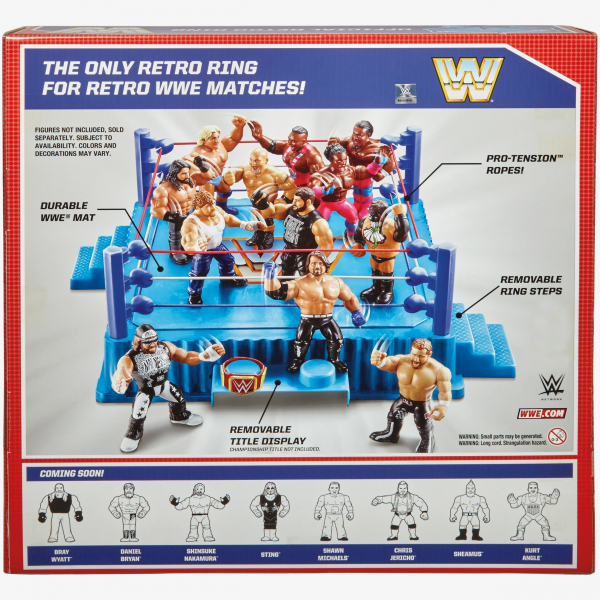 This special throwback WWE Retro Ring Playset has iconic blue colouring with the traditional red, white and blue ropes, and not only is a great place to play with your WWE Retro figures but actually to display them all together in a retro way! 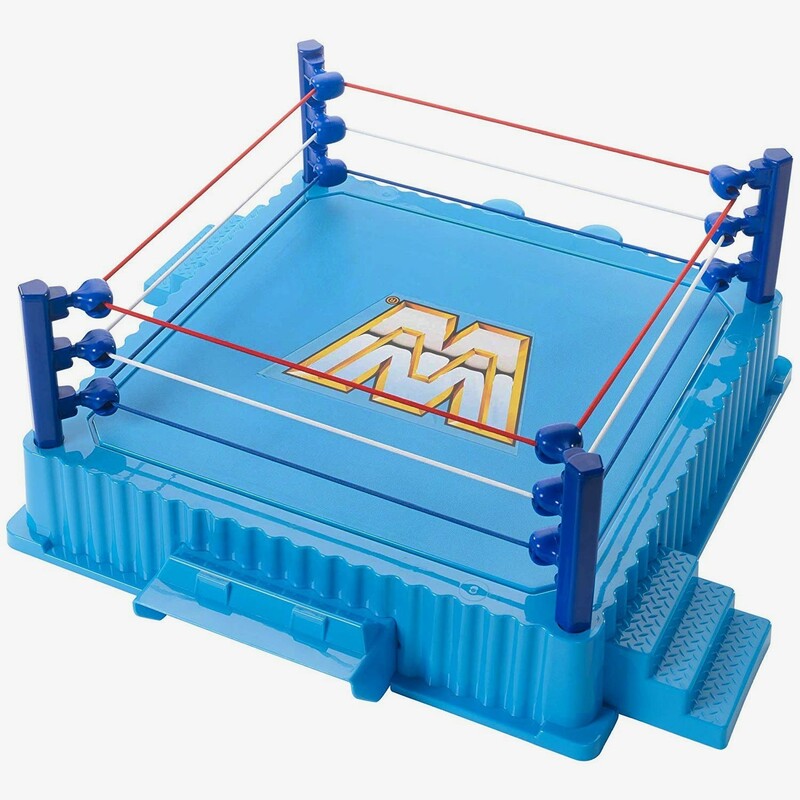 The Mattel WWE Retro ring playset lets you recreate the Retro action with classic style ropes and light blue ring. 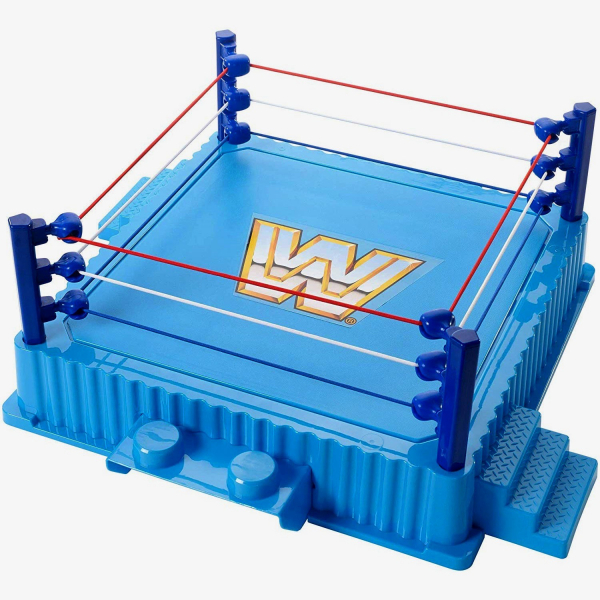 The ring has two removable title displays, ring steps plus announcers table and is the only ring for WWE Retro matches. 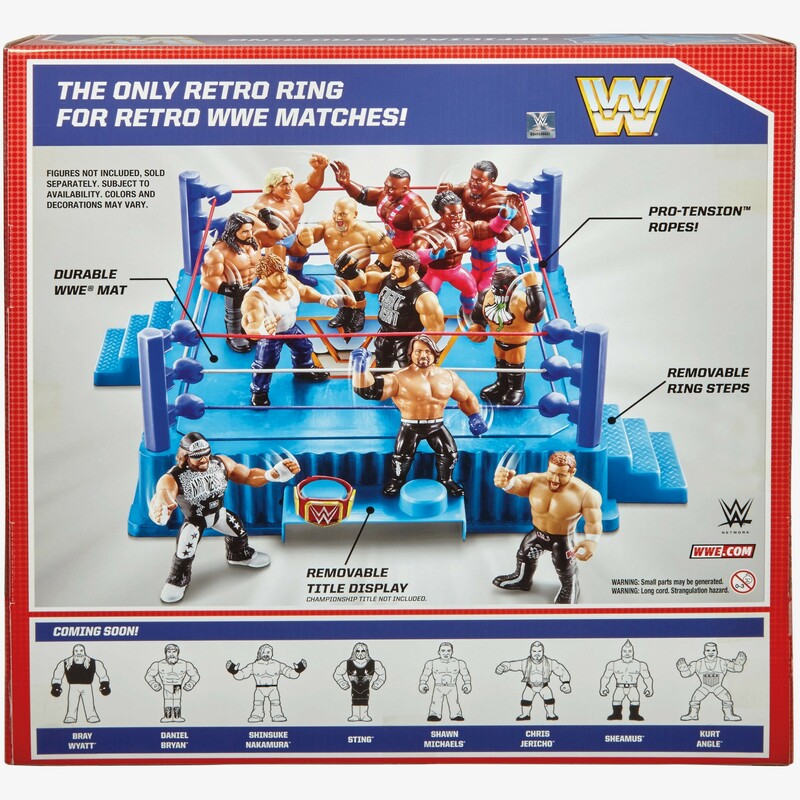 Around 10 WWE Retro Figures can be displayed in an around one ring area very well. The outer red packaging matches Retro Series 3 colours and the Retro figures. WWE Retro Figures are not included. WWE Championship belts are not included. 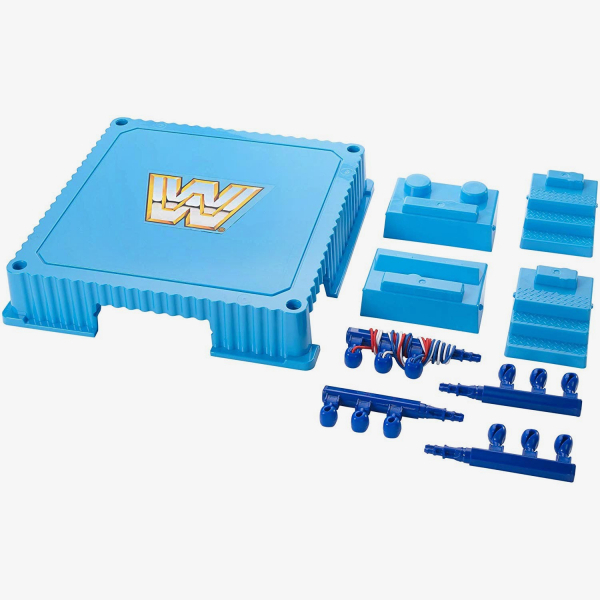 These can be obtained by purchasing selected WWE Elite Figures which include belts. Two can fit on your displayed ring table. See complete WWE Retro history.